As space age irises go, Ben Hager's selection 'Triple Whammy' has all the bells,whistles and bold purple horns. Large flowers with the colouration similar to 'Sky Hooks', bloom stalks that grow much taller for me than its registered 40 inches so may need to be grown in a sheltered spot or keep those friendly bamboo stakes at the ready around bloom time, it also comes with very vigorous growth and lush, healthy foliage. 'Triple Whammy' would be an interesting pollen parent selection for anyone starting a breeding programme with high expectations of a 'space-age outcome', it was recently used in the cross that produced the great looking reddish, purple and bronze, space-age iris 'Purple People Eater'. TRIPLE WHAMMY (Hager 1990) ML 40"
TRIPLE WHAMMY (Hager 1990) is a colorful blending of old gold with light lavender in the falls, then with decadent bright purple beards and horns protruding from the heart. A tall, almost lanky stalk with wide branching, opening 3 large flowers at once. A wild one that is distinctive and most popular. 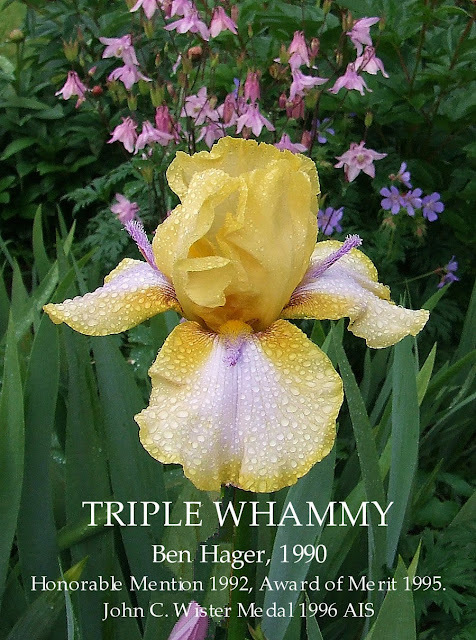 TRIPLE WHAMMY (Ben Hager, R. 1989) Sdlg. SP4884YBldPrHr. TB, 40" (102 cm), M-L S. bright yellow; F. lavender-white center, deep gold hafts, wide yellow edge; bright purple beard and horns. SP4432Tn/Oc: ((Birthstone x Sky Hooks) x Jester) X SP4078: (Barbary Coast x Buckthorn). Melrose Gardens 1990. HM 1992, AM 1995 . Photo taken a couple of days ago, an historic rebloomer from the 1800's that was involved in much of the success the Sass Brothers had with their intermediate reblooming programme in the 1920's and 1930's. Now it's an iris that I can not be 100% sure that the name is correct or that the Iris should be attributed to Peter Barr, yes the above photo is the iris 'Crimson King' considered to be Peter Barr's most well known iris, but there seems to be more than just a little confusion with 'Crimson King's' nomenclature that can't be just swept aside. There is a contentious description published in the Journal of the Royal Horticultural Society, Bearded Irises Tried at Wisley 1925-1927 where 'Crimson King' is mention under the heading 'ATROPURPUREA.' I've copied references below for your consideration. Its probably a popular natural hybrid that some plantsmen squabbled over its name and breeding rights. For the time being I will go along with the label 'Crimson King' and Peter Barr as the introducer but I think it is becoming increasingly obvious that 'all bets are off'. THE GARDEN, Societies and Exhibitions, July 31st, 1880. Messrs. James Veitch & Sons, Chelsea, for Iris Kæmpferi Magnificence, a flower of medium size,prettily marked with lines of violet and red on a pale ground ; and Crimson King, a grand flower, having very broad petals of purplish crimson. THE GARDENERS CHRONICLE, Amateurs Column, July 14th 1894. IRIS GERMANICA, Harrison Weir, Sevenoaks, June 23. Once May is reached an iris garden should be one continuous blaze of colour for the common purple flag is closely followed by the innumerable forms and hybrids which are loosely known as german irises. Closely related to the type, and only local varieties of it, are forms of which Amas or Macrantha is perhaps best, while other good forms are Purple King, Crimson King, Fontarabie, and Asiatica. The Longfield Iris Farm, Bluffton, Indiana. 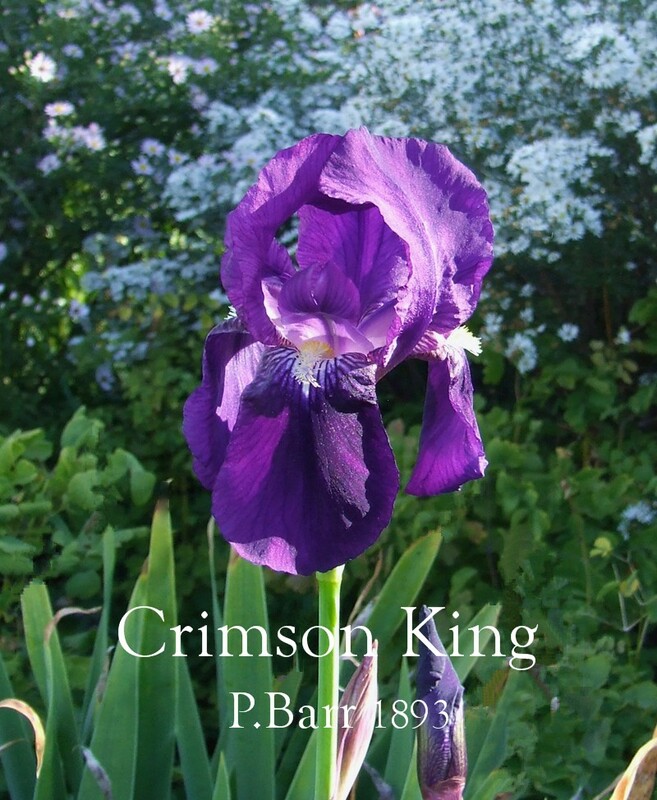 Crimson King This iris has flowers of the same rich deep purple coloring as Kochii, but the flowers are larger, and the stalks taller and the growth more open. Very Good. 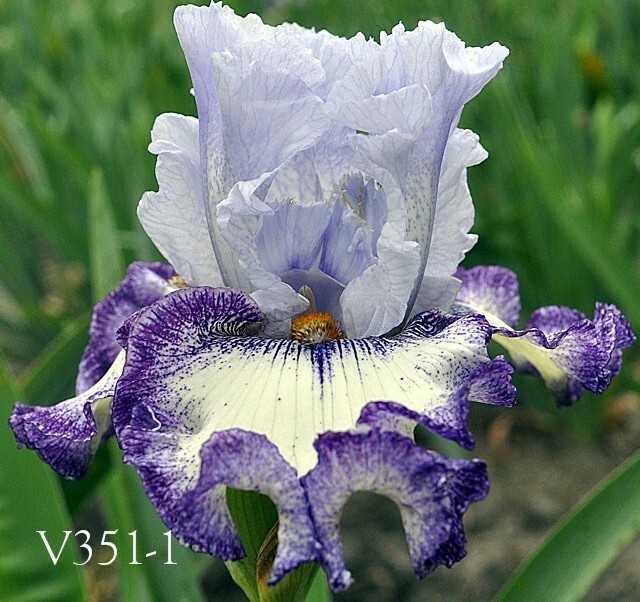 Every Iris collection should have either this variety or Kochii. BEARDED IRIS TRIED AT WISLEY 1925-1927, Journal of the Royal Horticultural Society. Color effect a cotinga purple or more brilliant hyacinth violet self ; size fair ; form long, open, rounded; tall bearded class ; height 24 in. ; branching fastigiate, above centre, 2 or more laterals. A flower of good substance; firm texture ; excellent fragrance; good lasting quality. Useful in mass or as a cut flower. Standards a most intense hyacinth violet to pansy violet, tinged with yellowish and slightly lighter at the base of the blade and on the claw ; carriage cupped, erect to arching ; blade obovate to fiddle-form, notched, undulate, frilled and ruffled, revolute, slightly crumpled; size 2 in. wide, 24 in. long. Falls slightly velvety blackish purple to brilliant Rood's violet, veined with same on the phlox-purple haft, lighter along the beard; carriage drooping ; shape obovate, convex, oblong to ovate; size 2 in. wide, 2¾ in. long. Minor parts : beard fine to coarse, dense, projecting, bluish tipped with yellow ; haft broad, channeled; reticulations fine to coarse, slightly netted, close to widely spaced; style-branches broad, overarching ; crest large, fringed; pollen plentiful ; spathe-valves scarious, purple-tinged. Growth moderate to vigorous ; increase rapid ; habit compact ; foliage stiff, leaves slender to broad, glaucous yellow-green ; 2-3 blooms open at once, floriferous ; stalk erect, with 5 buds. While the general color is very similar to that of Kochii, it is not quite so distinct a self-color. The outer haft of Crimson King' is more definitely veined and broader, its segments are more decidedly waved, and the stalk is more widely branched. In Kochii the segments are more slender and graceful, while the whole of the flower is very similar to that of Albicans. Crimson King is undoubtedly of germanica origin. It has persistent green foliage. Proceedings of an International Symposium, Missouri Botanical Garden, 1995. The Tall Bearded Iris Species, Philip W. Edinger. Californians (even non-irisarians) know this common iris by sight through out the State. But only old-timers know it by its name; recently it has gained some distribution under the usurped name "Eleanor Roosevelt"! Here in the west, this is easily the best germanica for garden display: it is tall,prolific, has good color, and will flower more than once annually. In fact, you may get three or even four repeat blooms per year in areas where frosts rarely strikes. For heavily purple-tinted spathes, inky buds emerge that open to self colored blooms of rich mulberry color; beards are white shading to yellow toward the flowers interior. The hafts are somewhat veined, as the basic fall color breaks into veins over a blue white ground. Of some dozen germanica clones here, this is the one most likely to set a few "bee" pods. CRIMSON KING Barr, 1893 IB-E & Re-RD7, 22 inches. This post will be updated when the research regarding nomenclature of Crimson King is more robust. 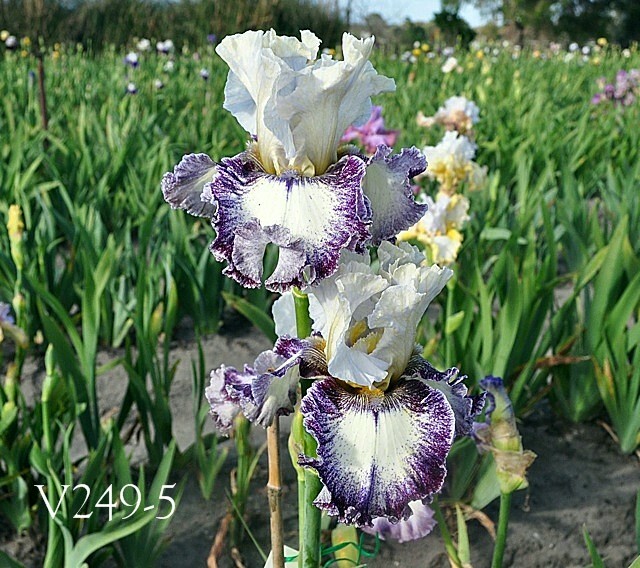 Bred by the late Revie Harvey of Havelock North, Hawkes Bay, New Zealand, a stalwart of the New Zealand Iris Society and a breeder of some very fine irises of which 'Okarita' was one of her best Tall Bearded garden varieties. 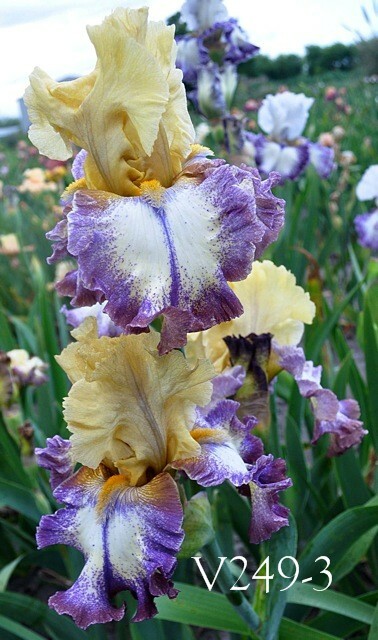 It was awarded the Begg Shield for the most outstanding New Zealand bred iris seen at a convention garden in Nelson, 1992. 'Okarita' is a strong grower with good plant health, very tall bloom-stalks that have a slight tendency to get a bit zigzaggy, and the height can sometimes be a problem around here with the strong nor-westerly winds that can destructively rush through the garden at bloom time, so needs to be planted in a sheltered spot. Good branching with a high bud count, colouration is clearly a self in the cool white colour range that is highlighted by a subtle green cast in the centre of the falls with just a slight flick of olive green striations on the hafts. Beards white tipped lemon. 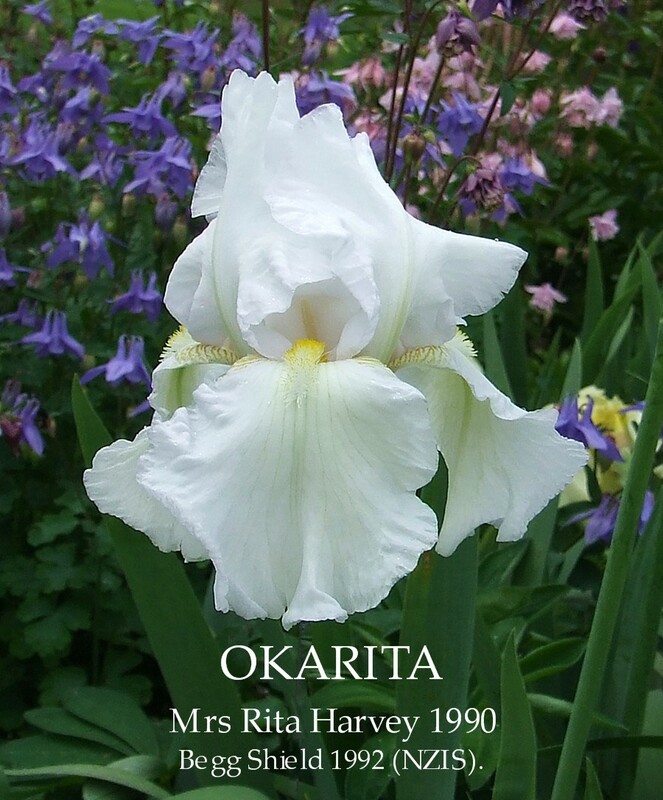 The high bud count gives very long sustained bloom period and makes 'Okarita' a great choice should you be looking for a good white iris with undeniable grace. I was recently informed that Revie Harvey's 1999 registered Tall Bearded Iris "Spring Nuptials" a pink is also well worth a try. OKARITA Mrs R. Harvey, Reg., 1990. Sdlg. RS/WV/83. TB, 42″, (107 cm), EML. White self, F. fluted; beards white, tipped gold; slight fragrance. Regalaire sdlg. X Wedding Vow. Wyuna Iris Gardens 1991. Begg Shield 1992 (NZ). White irises with a lost label are very common and just about every nincompoop trader that owns a look-a-like white iris in New Zealand with a lost label or no identity could now label it as '''Okarita,"a New Zealand bred white iris' because believe it or not their in-depth research has reached the dizzy heights of analytical wisdom which allows them to conclude "mine sort of looks like it too, its white isn't it?" Armed with this unshakable ground breaking conclusion and possibly a photoshop image of a white iris most likely stolen from google images they then go on to sell the iris on 'Trade Me' as the real deal, which it most likely will not be. These people are around and they really have no interest in irises their only interest is in getting the highest price for their goods by deception, and if you think this has never happened, then you would be wrong. If you have any doubts about an irises provenance my advice is buy your Irises from a reputable commercial grower as they will have vetted their catalogue and generally have a policy to replace any wrongly labelled irises. These are the seedling photo's that Barry Blyth sent me to show the results of his rekindled interest in blue plicata breeding lines. Amazzzing!!!! My personal favourite would be the seedling V250-2. 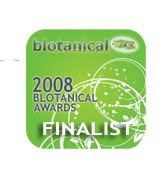 Please keep it in mind that the above irises are a selection of his seedlings from the 2011 flowering season at Tempo Two and some of the above may never make the final selection to be named. A big hat tip to Barry Blyth for the sending of these beauties and please visit his web site Tempo Two. 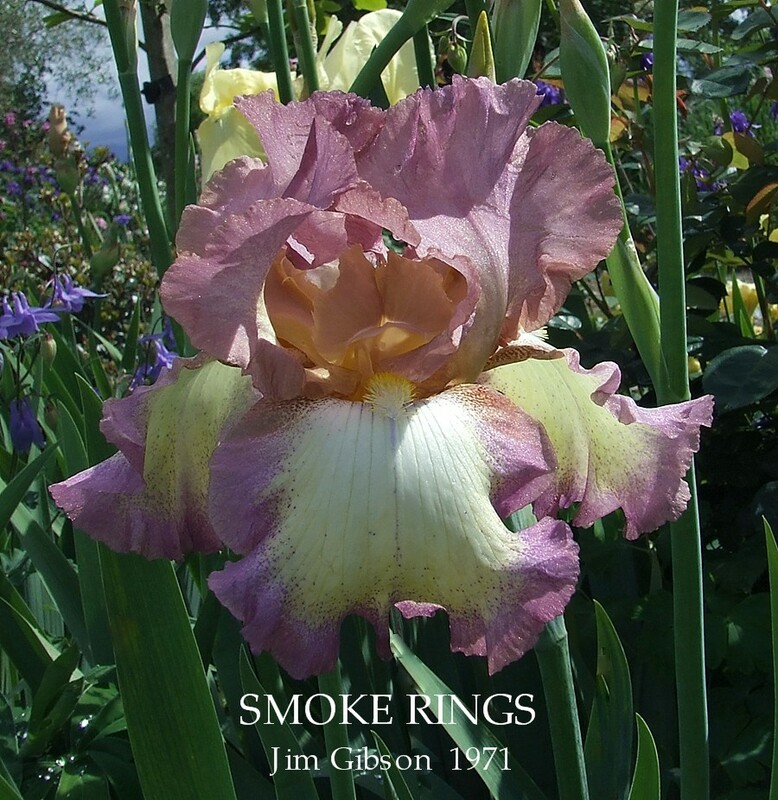 'Smoke Rings' is a great parent, fertile both ways, involved in the parentage of over 60 registered irises, hybridised by one of thee great pioneers of modern day plicata breeding Jim Gibson. Very good plant health, coupled with vigorous growth and increase, and this is the most likely reason it was sent to me as a bonus plant many years ago (more plants than you know what to do with). Large blooms with subtle tones, decent stalks and bud count and comes with a stand out fragrance.The colour tones have always reminded me of some sort of Art Deco tableware. I must confess, for me it was originally not an Iris I would have selected if I had to pay good coin for it, but it has become an acquired taste over the years and a good mature clump of 'Smoke Rings' is very impressive, it's a 41 year old that can still strut its stuff and won't let you down. Gibson's Iris Garden, 146 South Villa Street, Porterville, California. 1972 Tall Bearded Introductions. SMOKE RINGS (Gibson 1972) M. 36"
Iris 'Smoke Rings' (J Gibson 1971) This ruffled Cream-white plicata is stippled with pale plum and amber. The flower is very fragrant. Height 97 cm (37 inches). Bloom: mid-season. SMOKE RINGS J. Gibson, Reg. 1971 Sdlg. 23-7B. 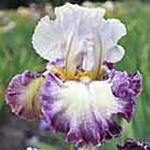 TB, 37" (94 cm), M, S. smoky orchid veining on cream and mauve; F. smoky orchid and mauve rim on creamy ground; yellow beard; ruffled. 30-5B: (35-1 PB1A: (23-4B x Rococo) x April Melody)) X 142-4A: (86-2PF x 2-2 PL). Gibson 1972. HM 1973. 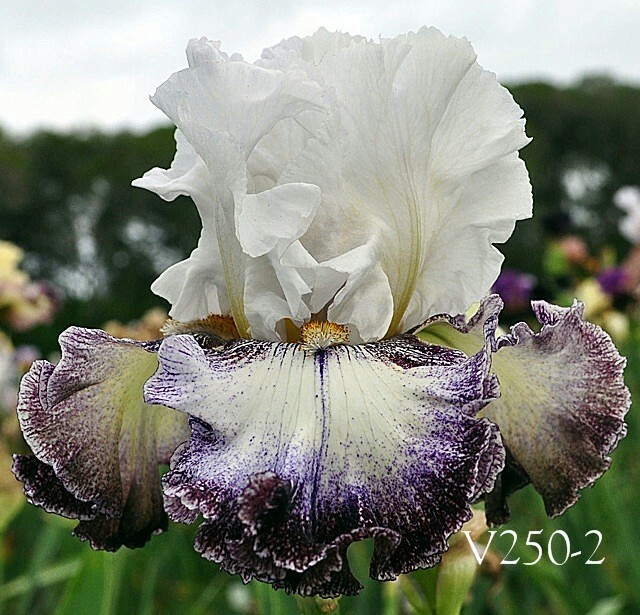 When it comes to blue and white plicata's I am firmly in the "Enough already" department, but I have to concede that every now and then along comes an iris that can make me reshape my point of view and the iris 'Sapharine' is for me one of the great and complete modern blue plicata's. Not sold commercially anywhere that I am aware of and a google search comes up with mainly references to quotes and a google listing for that Iris Wiki thing. I'm sure I'm not the only person growing it in fact I hope I'm not. I have grown this Iris for years and is all-round a much better iris than 'Everything Plus' an iris of a similar colouration and both having the same smaller flower size which I like. 'Sapharine' breeding history is stacked with 'Odyssey' genes with a bit of 'Foggy Dew' in the mix to enhance the subtle sophisticated look. The blooms are well rounded with just the right amount of flaring in the falls and the standards are slightly opened but still rounded which is pleasing. Would do well on the show bench with its tall strong candelabra stems that come with great bud count, but just flowers to late around here for the show season. "I can't remember what I said about 'Sapharine' when I introduced it. I remember it as graceful and a lovely bloomer, making lots of flowers. I used it a bit in hybridizing and it gave some good two toned plicatas. I think at the time, the early 80's there were so many blue plicatas coming from USA that it got lost in the melee, so it did not get the degree of attention it deserved. Also I was in US each year and I saw what so many were doing in the plicata field of breeding I decided more or less to let up on plicata breeding and concentrate on bicolours and amoenas. It is only in recent years that I have started again and am getting different blue plics". Barry has generously sent me some photos of his above mentioned 'different blue plics seedlings' and I will post them on the blog in the next few days or so. 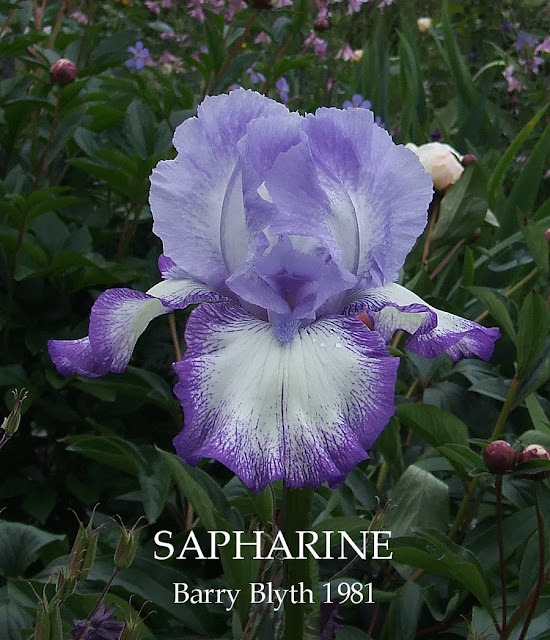 SAPHARINE (B. Blyth, R. 1981) Sdlg. K11-1. TB, 36" (91 cm), M-ML; Standards white, stitched soft pastel blue; Falls white, stitched light violet; blue beard. Odyssey X Soul Power. Tempo Two 1981/82. SOUL POWER (B. Blyth, R. 1977) Sdlg. H158-2. TB, 38" (97 cm), E-M; S. white with faint mauve plicata stitching, fading out on 2nd day; F. white with 1/4" plicata stitching of violet; white beard. Odyssey X Foggy Dew. Tempo Two 1977/78. From time to time this year I will add gardening advice that I have tried, some from various publications and others from gardeners like myself. This is one I have used over a period of several years with great success, but I leave them alone for 8 weeks or so. Some Irises have the name for being "bad doers," but I have yet to find one which does not respond to the following treatment. A bin of peat stands in the open in the shade of the potting shed. Healthy offsets from unhealthy rhizomes, plants for stamina and "bad starters"are planted in the moist peat and left for some weeks. Strong new roots start into growth in a very few days, and in three or four weeks time a splendid root system has developed. The ball of roots with as much as possible of the adhering peat must be lifted and tact and planted carefully. I find that plants so treated never looked back.